Regardless of whether we are designing, planning and executing a large, complex project for you or whether it is a small project, if the people of Ruland can bring any specific benefit to your company, we are ready to do so. Before we start with the planning, design and implementation, we give ourselves sufficient time: We become acquainted with you and your business and make ourselves fully conversant with the characteristics and circumstances. The Ruland project management encompasses detailed design and planning, seamless implementation, perfect interface management as well as compliance with the time schedule and budget. In the process, we can review several years of experience and hundreds of successful projects including an impressive number of highly complex, large projects. Consulting, engineering or turnkey project? 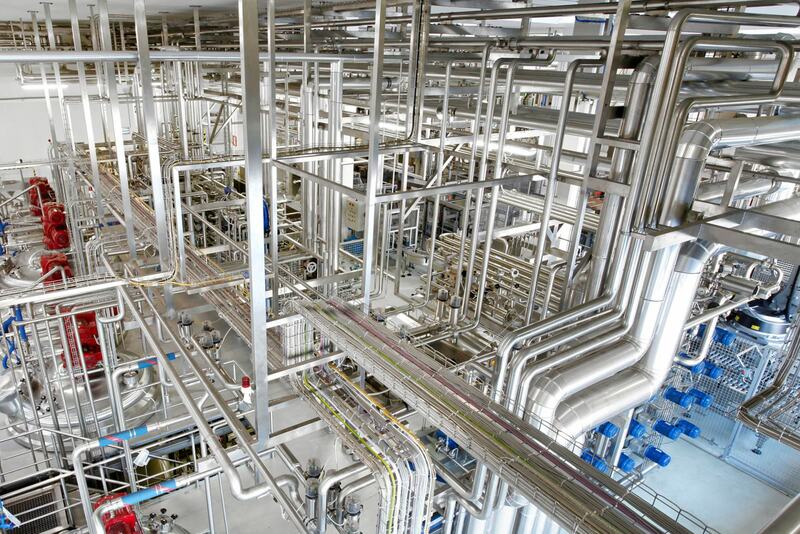 Plant construction and process technology are only a part of our portfolio. We even support you with consulting and advice regarding the design and new construction of complete production facilities. In doing so, we always have the process-related requirements in focus – and in this regard we have an advantage over every other planning company. Our philosophy: The building is adapted to the process and not the other way round. It is only in this way that the flow of production, materials and goods can work optimally. Would you like to expand a production facility or plan a new “Green-field project”? We determine all influencing factors and parameters for you and work out the optimal design. Qualified capacity planning not only takes your current demand into consideration, but also includes the various stages of expansion. In this way, it is ensured that both your new fabrication facility and also the systems are planned ingeniously and designed for future requirements. For a reliable production process, we also conceive and design compatible processes and optimal media supply. We implement all projects with the help of our outstanding technological know-how and excellent project management. Always exactly as you like, be it as a general contractor or simply as your consultant. Are you an innovative company that tests new formulations constantly? Or do you need a system for training purposes? 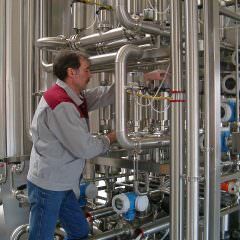 In that case, it is ideal if you have your own pilot plant or the smallest size of system. 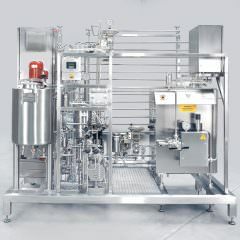 We not only build systems based on industrial scales – we even design small systems for your research and development, for product tests and new formulations in the liquid segment. With this you can test and compare different processes or develop a completely new product and produce samples. No matter what, we can assist you – with our pilot plants, liquid-based processes can be reproduced optimally and transferred, which means that upgrading to an industrial scale will become proverbial ‘child’s play’. A production plant must be able to do one thing above all: Constantly adapt itself to new requirements. 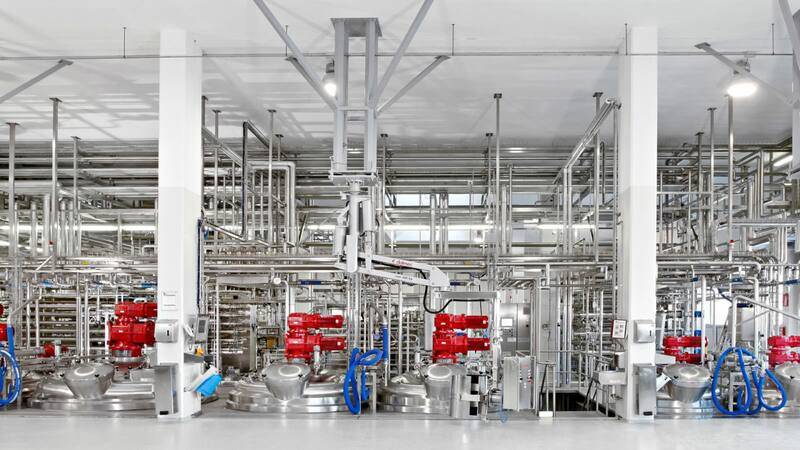 Greater flexibility, higher microbiological safety, more output, higher energy efficiency, new certifications, amended regulatory specifications and austerity measures. Several companies appoint us for optimising or supplementing their plants. In the process, we have all of the parameters and processes in mind and develop meaningful concepts – which encompass all necessary parameters. Often, even smaller measures make a great impact. We always pride ourselves on the fact that we can modernise an older system and bring it to the latest state-of-the-art technology at relatively low cost. 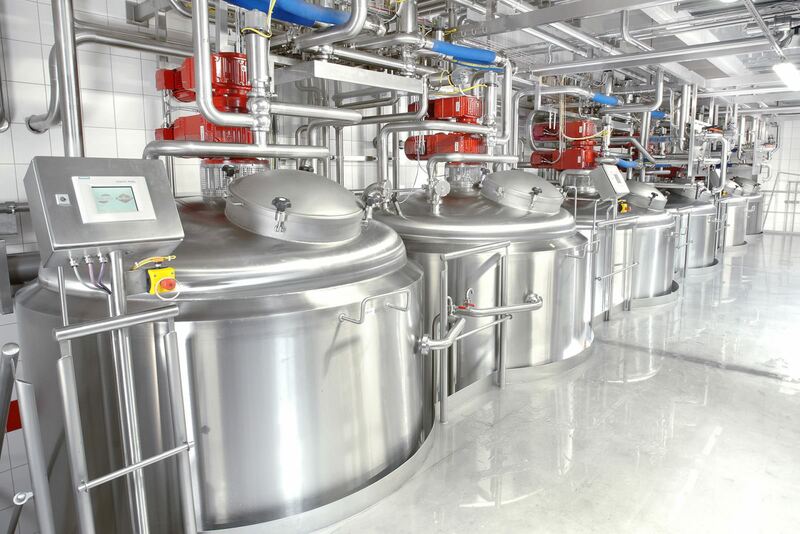 This has special significance for hygiene design – especially in liquid production. With the help of new approaches, microbiological problems can be solved or the cleaning can be simplified and improved. If you have such a concern, then a consulting project is the correct path to take. 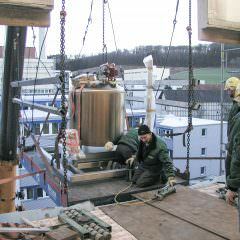 We consider the entire process holistically and check the options jointly with you as the plant operator. In this way, we can work out the optimal solution within the framework of your budget. Even in the course of our service deployments we can check whether your plant is optimal with respect to the formulation, characteristics and batch size, or whether the process parameters or the plant operation should be adapted. Now it is getting complicated: Pipeline construction poses challenges to several engineers. And we are the experts for this complex job. We advise you, plan your pipeline construction and take over the project management, as well as provide all installation services professionally and in accordance with the most stringent standards. Planning comprises, above everything else, the meaningful supply of media as well as managing and laying pipeline routes. This is really detailed work and it includes even the selection of appropriate mounting brackets as well as the determination of loose and fixed bearing supports or expansion bends – even if their significance is often underestimated by professional experts. We manufacture your modules in our factory and connect them at your on-site location. Since pipeline projects are a matter of maximum complexity, they are usually based on a consulting project. This is where we determine the appropriate materials, the nominal width dimensioning including the classification in relevant pipe classes. This even includes a “simple” 2D pipe route planning. The second stage contains volume modelling with the help of the most modern 3D technology. 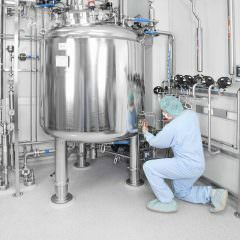 Specific mass extracts can be derived from this model for all the necessary components and piping elements. Moreover, we now prepare detailed drawings for the floor plan, layout drawings and route sections. These form the basis for the tender and installation documentation, which our team needs for the subsequent implementation. Our results can be clearly seen: Optimised pipeline systems permit the economical as well as efficient handling of raw materials, minimise product loss – and often conserve the budget at the time of construction itself. We are always at your service. And this is not an empty promise. We know what production failures can mean. This is why our service team is deployed as soon as possible: In the course of remote maintenance or at your premises on-site. Our 24 hour service is available to our contract customers in case of an emergency. More information on Service. We ensure that everything – quite literally everything – works. For production without faults or shut-downs, regular maintenance and inspection is indispensable. We take over both for you. In accordance with an accurate time schedule, we maintain the mechanical system, electrical system, pneumatic system and control system for you and, in the process, we also test the leak-tightness of heat exchangers and calibrate pipelines. We document all of this conscientiously – for the safety of your plant, your products and ultimately, your company. No quality assurance without the calibration of the measuring instruments: It is only in this manner that correct, valid results can be obtained and it is only with this that your plant can work accurately. The calibration of your measuring instruments for the customary measurement parameters is included in the scope of our regular maintenance and service work. It goes without saying that we always work in accordance with the current regulations and provide your instruments and equipment with appropriate test stickers and ISO 10012-1 calibration certificate in accordance with the standards ISO 9001:2000, ISO 10012-2003, GMP, FDA, QS9000 and HACCP. Sometimes only a small component is defective – yet the result is the entire plant shuts down. In order that you can react quickly and you do not incur high costs of failure, we closely share our spare parts strategy with you. We put the most important parts together in the form of a customised package. In this instance, you have everything at hand in case of an emergency. And if a very special spare part is missing and is needed urgently? We deliver it in record time and install it in a professional manner. Incidentally, you can also use this service for plants and systems of other providers – we are neither petty nor mean when it comes to such things. Several system components are expensive and it is worth repairing them. However, in most cases, remedial measures must be adopted very quickly. Here, too, we will not let you down: We will supply a replacement device to you delivered via courier. Your defective component will be tested and we will prepare an accurate cost estimate for the repair. You can then decide whether we should repair the component for you – or if you would simply like to retain the replacement device. Do you have any questions about our project management?